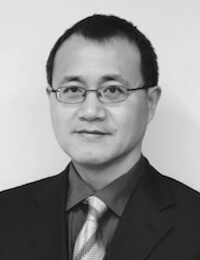 Xinmin graduated from Tsinghua University, China in 1999 with a PhD degree in Environmental Engineering, and conducted postdoctoral research training in Tokyo Institute of Technology (Japan) in Oct. 1999 – Sept. 2000 and Gifu University (Japan) in Feb. 2001 – Apr. 2001. After working in Tsinghua University in the period of May 2001 – June 2002, he was a postdoctoral researcher in the National University of Ireland, Galway from July 2002 to Aug. 2004. He was appointed as a lecturer (above the bar) in Sept. 2004, lecturing and conducting research in the environmental engineering area, and was promoted to professor in May 2014. In the past 5 years (2012-2017), he has been a principal investigator, coordinator or co-investigator on over 21 research projects, with around €3 million research income to his research group. His research grants are from national (including SFI, EPA and Enterprise Ireland), European Union (FP7) and international funding sources (for example, Brazil’s Science without Border PhD programme).